Add warmth and comfort to your home with this Poker face rug handmade in 100% New Zealand wool. - The colors of this rug are such that it is easy to blend in with any modern type interiors. - It is made in 100% New Zealand wool of superior quality and is double weft. 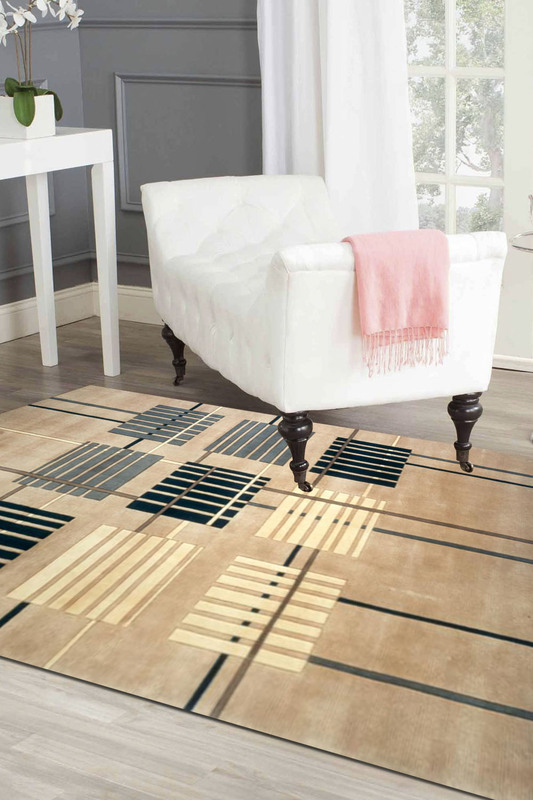 - The pattern on this rug is pretty straight and has a geometrical pattern with nine symmetrical boxes. - Suitable for a room with subtle interiors.